Do You Want to be a Nail Salon Artist? Boudoir Nail Bar is Hiring! A nail salon artist is more than a manicurist and pedicurist. They understand the art of original nail design like no one else does. If you are an artistic person who loves working on nails, then your top career choice should be nail salon artist. You can either work for another nail salon or start your own salon. If you work for another salon, you will end up paying a commission to the owner for each client that you serve. This might be the option to choose at the beginning of your career so that you can gain experience. If you are looking for a job at one of the top nail salons in San Diego, it is your lucky day! Boudoir Nail Bar is hiring. You can apply by visiting our hiring page. Nail salon artists specialize in virtually all aspects of nail care. They can do pedicures, manicures, acrylic nails, natural nail restoration, nail polish, professional nail art, gel nail sculpting, nail extensions, and French tip nails. 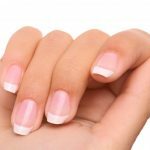 If you can master all these nail treatment skills, then you are in a good position to become a successful nail salon artist. To obtain these skills, it is recommended that you go to a beauty school to get an education in this field. After you graduate, apply for a cosmetologist license. Each state has their own requirements for obtaining this license. Once you have the skills, education, and license to be a professional nail salon artist, you need to plan whether you’re going to run your own business or work for someone else. If you choose the latter, are you working full-time or part-time? Some salon owners may pay both commissions and hourly wages while others may only pay one of them. Newcomers might not have the credibility to negotiate a good deal for themselves, so take any job that you can get if you’re just starting out. Experience will earn you better pay in the future. It will be hard to land your first job as a nail salon artist if you have no experience. The best way to get your foot in the door is to find an apprenticeship. This is also a good alternative to paying for a professional school education in case you cannot afford one. Apprenticeships will give you on the job training for free. Also, if there is a particular area of nail artistry that you want to specialize in, then try to get certified in that area. For example, gel manicures are very popular these days. If you can get certified as a gel manicurist, this will look very attractive to prospective clients. They will always trust professionals who have the proper credentials to do the specific job they want to be done. So, get as many certifications as you can and build up your resume. This will ensure that you land a good nail salon artist job in no time. Then, keep working your way up until you get better pay and a great reputation in the business. Boudoir Nail Bar is Hiring!